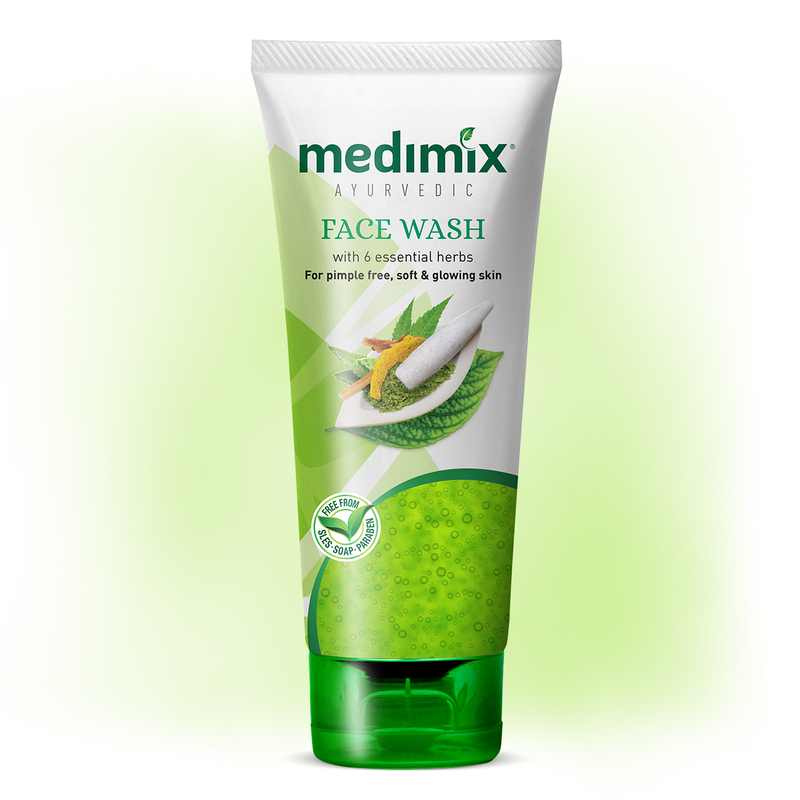 Medimix Ayurvedic Face Wash helps your skin battle the environmental toxins all day long, offering deep natural care and protection. It also retains the natural balance of your skin, keeping it refreshed. The unique blend of Turmeric, Aloe Vera and Neem gently cleanses and rejuvenates skin, keeping it clear and pimple-free. The divine herb Lodhra reduces skin inflammation and improves its complexion while Manjishtha and Kushtha enhance skin texture. 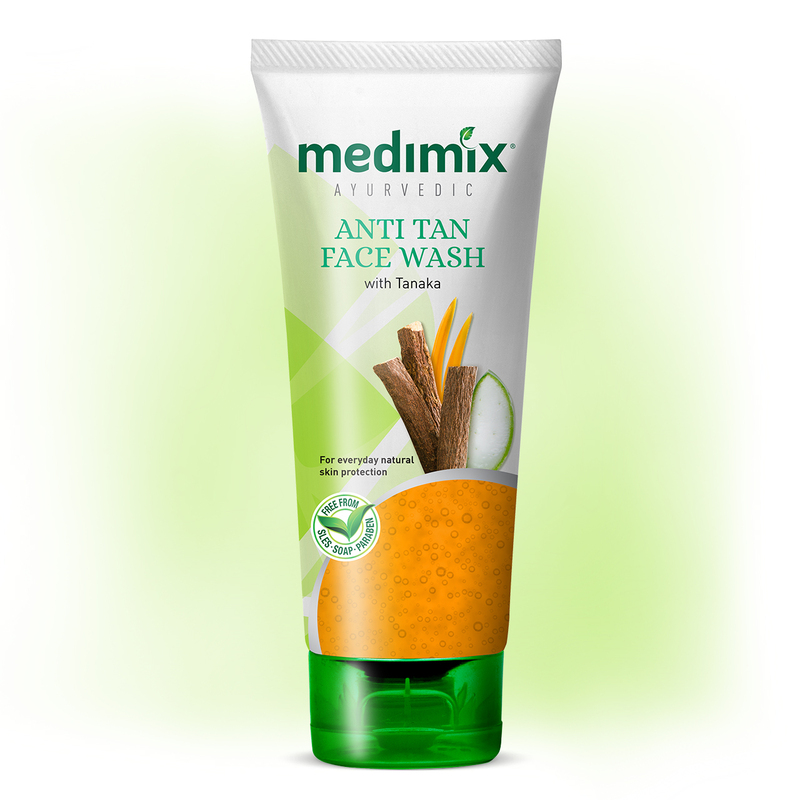 The perfect solution to fight the harmful UV rays of the sun naturally, Medimix Ayurvedic Anti Tan Face Wash is enriched with Tanaka, a finely ground bark found in Myanmar. Tanaka provides a natural infusion of antioxidants to the skin, cleaning deeply and balancing the skin by removing excess oil. It also prevents tanning and nourishes your skin. The other key ingredients Kapittha, Yastimadhu and Karcura combine with Tanaka to work as a highly effective sunscreen, giving all day protection from sunburn and dehydration. 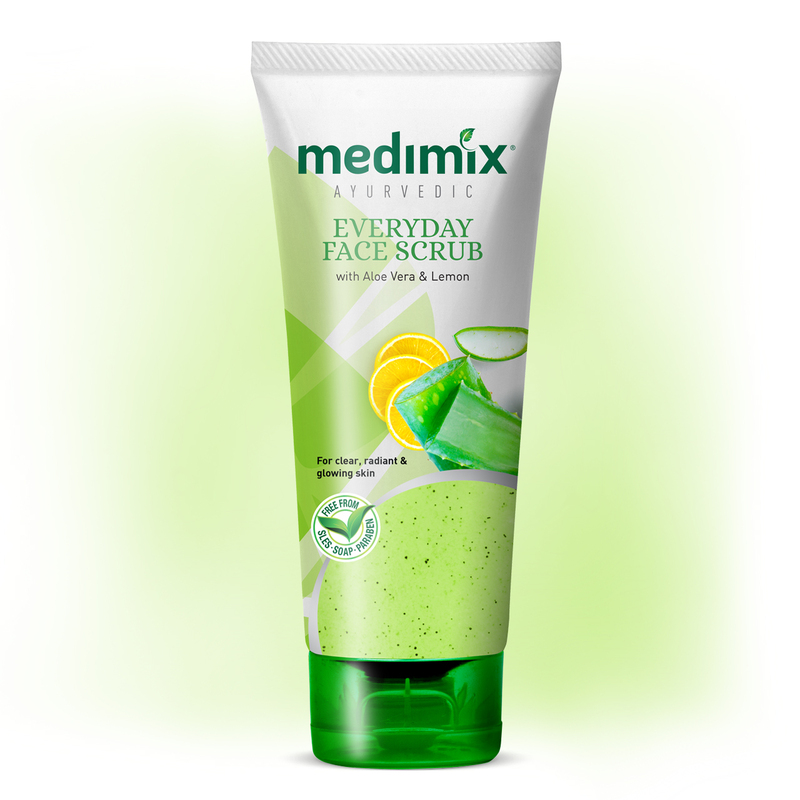 Gently purify your skin with Medimix Ayurvedic Everyday Scrub containing Aloe vera and Lemon. Known for their natural anti-microbial properties, Aloe vera provides soothing moisture to skin while Lemon is a natural cleanser and helps brighten the skin. 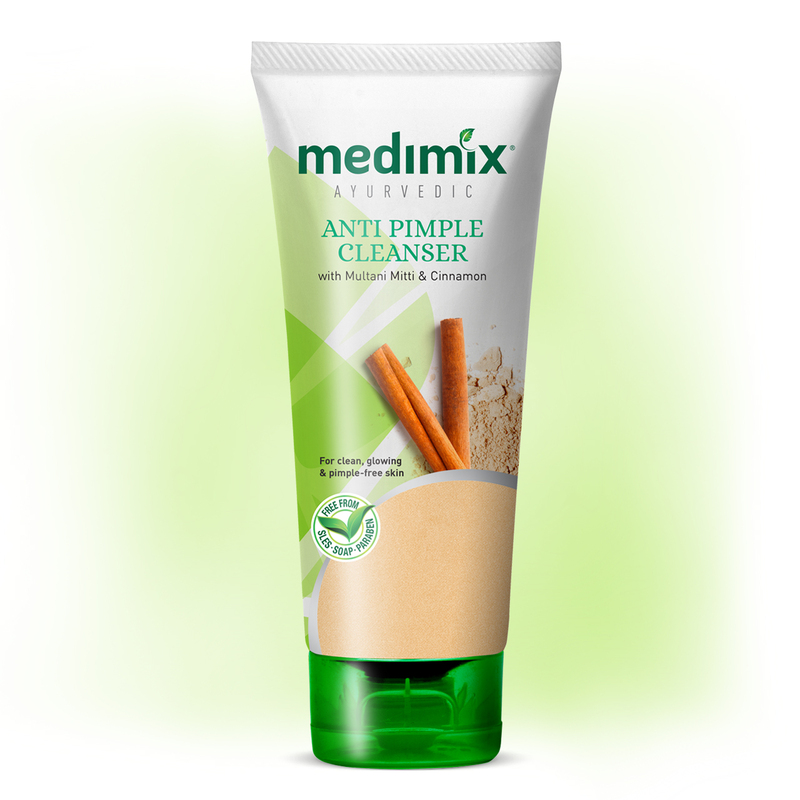 Gift yourself pimple-free skin with Medimix Ayurvedic Anti Pimple Cleanser that contains Multani Mitti and Cinnamon with other natural ingredients such as Turmeric and Neem. Multani Mitti deep cleanses skin by removing dirt and impurities, while Cinnamon fights acne-causing bacteria. Turmeric helps to get rid of blackheads and fade dark circles while Neem has anti-ageing properties and treats pigmentation. 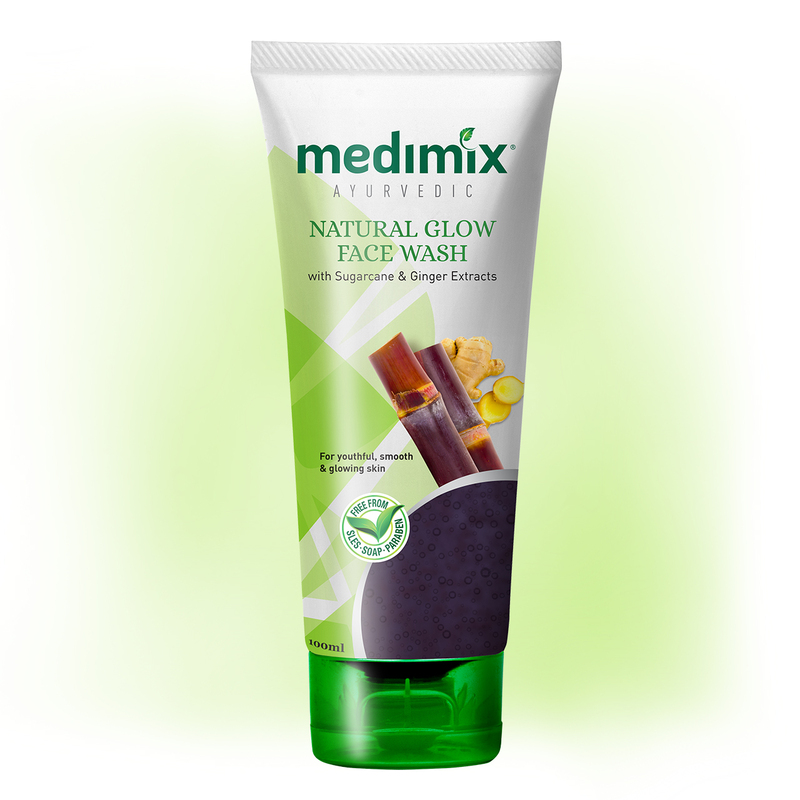 Leave behind your oily skin worries with Medimix Ayurvedic Deep Cleansing Face Wash. It is enriched with the goodness of Besan, a traditional home remedy to remove excess oil from skin, and Honey, which helps maintain its oil balance, to give your skin a deep natural cleanse and help keep it oil free. Keep your skin naturally radiant with the goodness of sugarcane and ginger extracts found in Medimix Ayurvedic Natural Glow Face Wash. Sugarcane is known for reducing wrinkles from the skin while ginger helps improve elasticity. Together, preserving the youthfulness of your skin.